Everyone jokes that every family needs a lawyer and a doctor, but I’d like to add make up artist to that list. My cousin Erica is a fabulous professional makeup artist and the beauty blogger behind Pretty Pleased, her site featuring beauty tips and tricks, her insider advice. 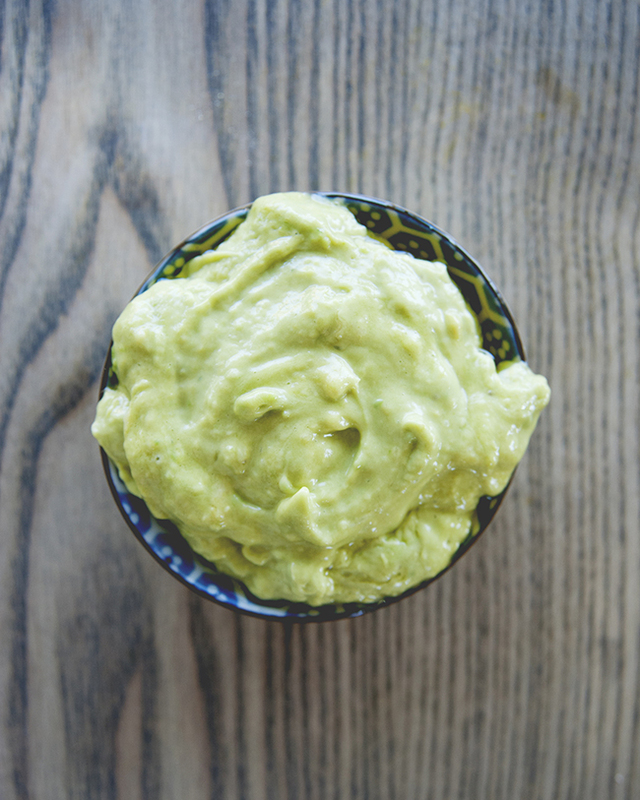 I thought she could bring a little of that beauty wisdom over to The Kitchy Kitchen, so today I’m featuring one of her amazing hair mask recipes with you. It’s been raining a lot in Los Angeles lately! 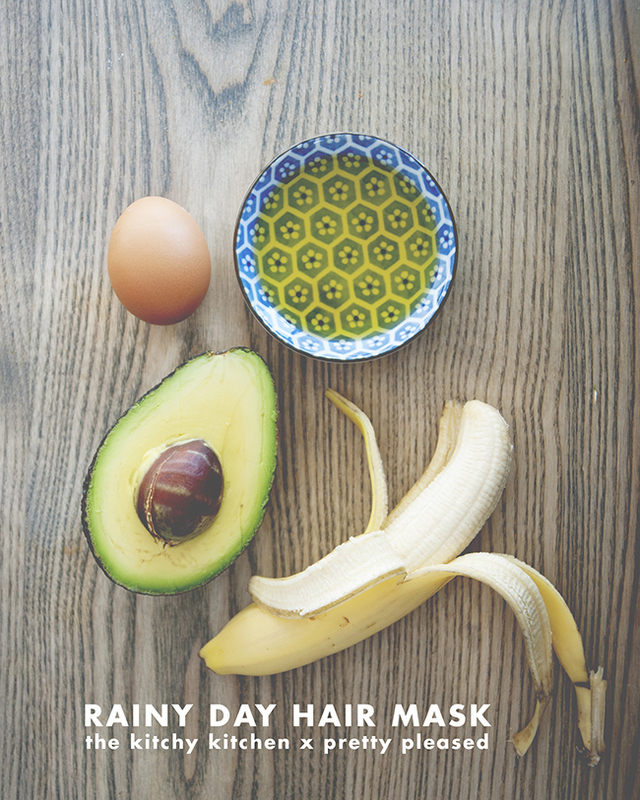 Take advantage of your rainy day and stay inside to give your hair a much needed boost. This DIY hair mask will add shine, smoothness, and bring some life back into those over blow-dried strands! Mix all ingredients together and apply to dry hair from root to tips. After all hair is saturated, pin hair up with a clip and put a disposable shower cap or saran wrap over it to seal it in and help eliminate some mess. Leave on for 1 hour and then shampoo out. You might need to shampoo twice. Skip conditioner, or if you must condition, only add to your ends.